During the month of October, Weather Master Heating and Air, a top local plumbing, heating and air conditioning company, wants everyone to be aware of how to conserve water as well as reduce the amount of contaminants in it. Modern technology has allowed most of us to take water for granted, but during this summer’s drought we were reminded that it is a valuable resource. Seventy percent of the Earth’s surface is covered by water, but only about three percent is fresh water. And, only one percent of that is able to be used by humans. With water in such short supply, human actions can make a big impact on its availability and quality. 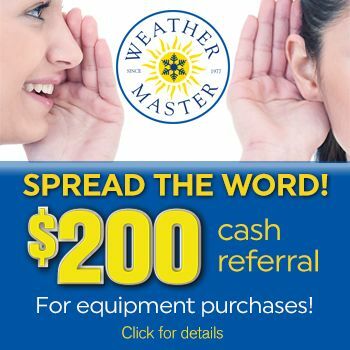 For more information about Weather Master, visit www.weathermasterhvac.com. Weather Master Heating and Air has been serving Wake, Durham, Granville, Orange, Chatham and Johnston counties since 1977. By providing the very best in air conditioning, heating and plumbing equipment and service, Weather Master Heating and Air delivers world-class service with a small-company touch. They are committed to doing “Whatever It Takes” to deliver immediate comfort to North Carolinians.